and lot more questions you will love to ask. But don't worry am going to cover all aspect of question you would want to ask concerning how to sell your own photos online. Now this photo is for sell, you can only use it for your business or any other thing when you purchase it. to avoid any crime. Am quite sure you have been using social media like Facebook, Instagram, twitter, Snapchat, and others and you have been uploading your photos for free. Wow so bad, had it been you knew that you could actually sell those photos you have been sharing for free. Have you earned from the social media you love using most, I don't think so. 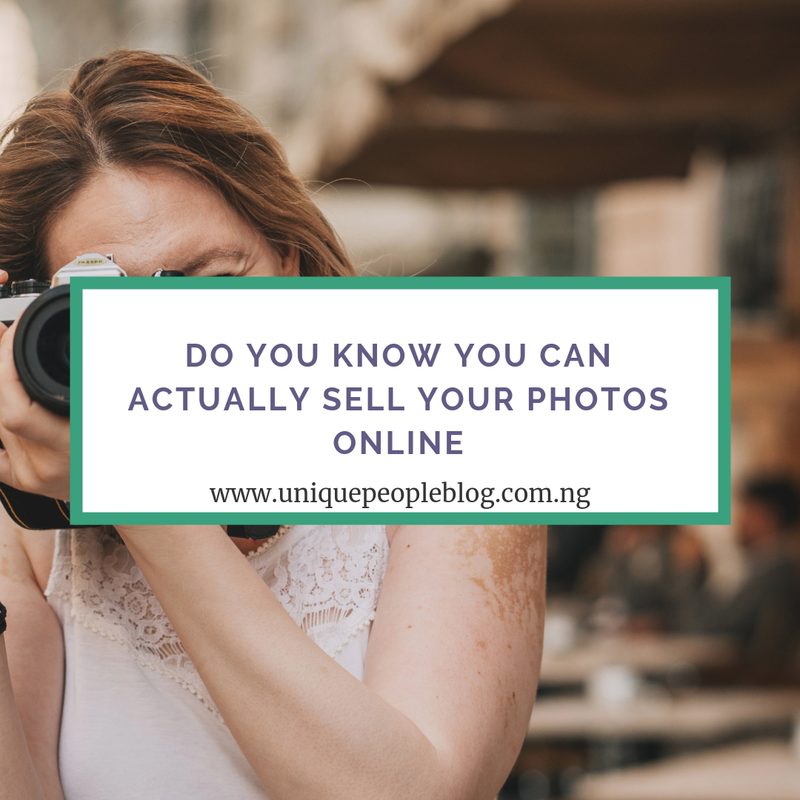 As a photographer or a lover of photos, you can easily earn some extra cash (or even start a new career) if you know the right places to sell your photos online. Photographers of various skill levels are in high demand for their work, now not every one is a photographer but if you know how to take cool stunning photos your good to go. Everyone from large corporations, small and medium size businesses to bloggers, graphic designers, marketers and publishers buy and use photos regularly online. The days of stealing images are becoming numbered due to tools that can easily match pictures and their originators. For most legitimate firms the potential lawsuit is not worth it. Thats great news for photographers looking for recurring income while safeguarding their work. I will share the top best places to sell your photos online and make money doing what you love. Cheers but don't forget to subscribe to our Email list to get updated on new opportunities. Shutterstock has been a popular site for over 15 years to buy stock photos online and you might have heard about them and see some of their stock photos online. Jon origer founded Shutterstock in 2003 with thousands of his own digital photographs. Since then, Shutterstock has grown into a portfolio of brands serving businesses, marketing agencies and media organizations around the world with all the creative and editorial assets needed. 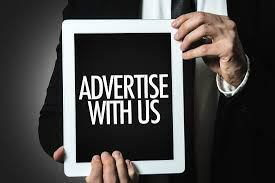 They have over 200 million images, videos, and music tracks for folks to purchase royalty free which also means they have millions of purchasing customers. HOW CAN I MONETIZE MY PHOTO IN SHUTTERSTOCK. As a photographer, you can earn great money with this marketplace in the long run. According to their site over $500 million has been paid out to their worldwide community of contributors. Shutterstock allows you to keep your copyrights protected, so it’s up to you to set the rights on the photos. Shutterstock also gives credit to the image’s owners, which is a major plus to protect your ownership and market your brand. 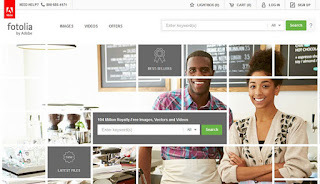 You can become a contributor in shutterstock and start earning every time your uploaded photo is downloaded by one of their customers. So I think it pretty cool, all you need to do is to provide stunning images, it better than social media where your photos can be downloaded for free and you won't even get a rewards for it. As a contributor you can make anywhere from 20% to 30%. Payouts are done monthly. The great thing is you don’t have to worry about clauses which force you to exclusively sell through them like some of the other marketplaces for stock photos. 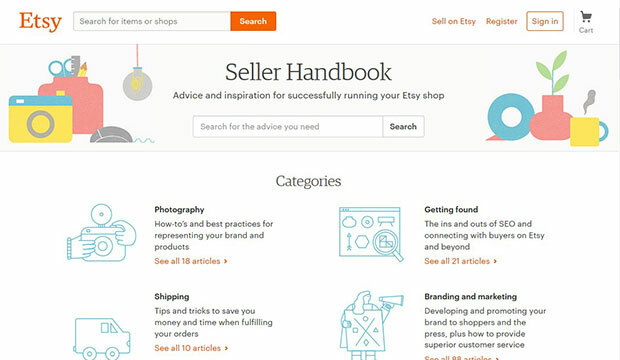 Another best place to sell your photos online is on Etsy. 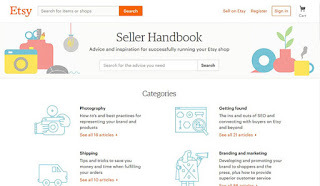 Esty is better known as a marketplace to buy and sell unique handmade goods. 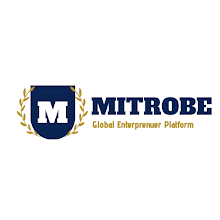 However, it does boast over 30 million users and several different ways to sell your photos through their platform. The most important thing about Etsy is that they have a larger audience than most stock photo sites and a demographic that is ready to purchase your images. Cool right, You can even sell your prints, but remember you would need to properly pack and ship them. You can set the price for your photos and design on your own. Etsy also gives you full control on how you want to display your photos to buyers. Yea this is the most convenient one for none photographers. I was using this one then but currently am not too active because am loaded with duties. Draagu currently is only on Android but basically, all you have to do is download the app , create an account and when you have images on your phone that match the request of clients, you receive a notification and can decide whether you want to submit those images or not. You don’t have to upload your images anywhere, the app does everything for you. You might want to give it a try :) In any case, don’t let your photos rot on your phone! They have a lot of value and you should capture that value!. Joan BardelettiBardeletti happens to be the CEO of Draagu he is a photojournalist working with main European medias and winning a World Press photo. I will also recomemnd Fotolia, Fotolia is a marketplace by Adobe now branded as Adobe Stock. It has been around for over 10 years and known to be the very first online shops to sell photos. The royalty share is also higher than the other online shops. Photos uploaded at Fotolia becomes a part of the Adobe Stock library which means they are also available in other Adobe applications like Photoshop, Illustrator and more to make the purchase easy for buyers. Contributors make anywhere from 20% – 60%. They also do not require you to make them an exclusive seller of your images. Given the behemoth that Adobe is, its likely that Fotolia/Adobe Stock will continue to become a prime destination for buyers and sellers of stock photography. You can become a contributor by signing up here . Who is going to buy my photo and What Type of Photos are Selling the Best? Am quite sure you would love to ask something related to this if not this, so that why I want to cover this area too. The largest buying base of stock photos are bloggers and small to medium sized website business owners. What type of images are they buying the most of? Food – Different types of delicious foods even empty unwashed plates. All types of People – Kids, adults, various cultures. People working – Very popular with businesses. Folks working on laptops, writing, speaking at a meeting, etc. Just don’t make them so generic, if not they will become a meme. Tools – Gears, hammers, nuts, bolts and screws can convey a lot of things for potential buyers. Cities – Cityscapes, buildings, people commuting. Nature – Best selling, This is a no brainer which never gets old to shoot or sell. Travel – Mostly for travel bloggers, shots from around the world are always in high demand.